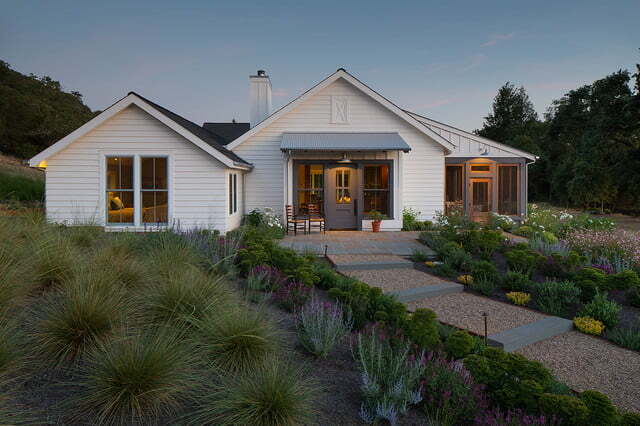 This very fine creation of First Bay architects is guaranteed to be one of the best farmhouses in the world! 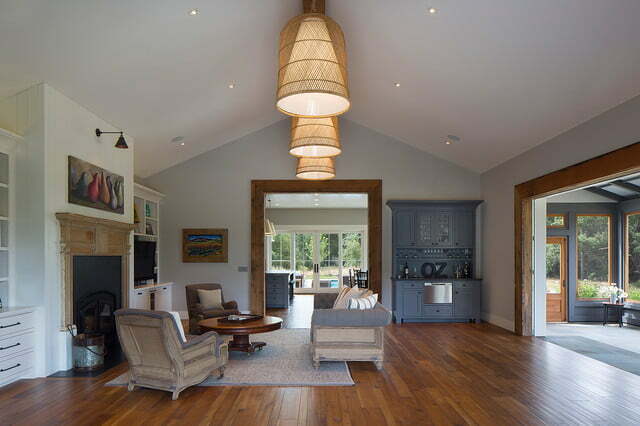 Truly a relaxing place located in the countryside, the exterior and interior of the house will never fail to amaze you. Along the country road lies this house with a variety of bushes and plants that serve as its “walls”. The path leads to a small porch which serves as the entrance of the house. The huge white house can be seen with a balcony on the side of the house, and at the back of it lies a decent hangout spot that has a pool, tables and chairs, and a back porch with soft and pool chairs along with a grill – perfect for hanging out with the family and friends! Behind it lies a huge barn where the resident can take care of the cattle, or just park their car at. The interior of the house is very elegant with a white and brown motif for the color – a proof that it aims for a simpler and more relaxing way of living at the farm. It’s complete with cozy couches and a fireplace. Well-designed fiber lamps are placed at the ceiling to provide dim lighting. At the side lies the balcon that’s protected with glass and has a door that leads to the poolside. On the other side lies the path to the bedroom, and if you go straight from the front door, the dining room lies ahead with glass walls that are framed well. The dining room-kitchen area leads straight to the poolside and the back porch. 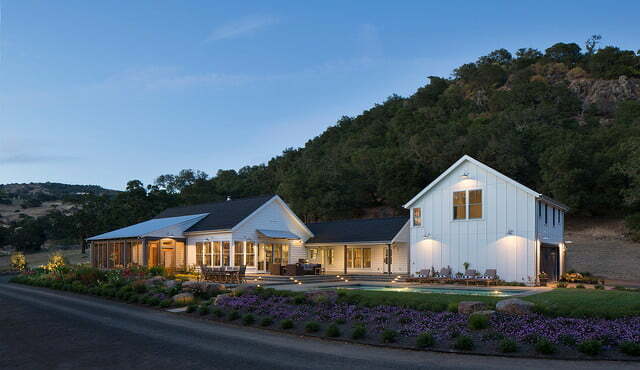 Take note that this is not just any elegant house with a wide garage, barn, pool, and many cozy spots to hang out at. You can even make the structure more appealing and durable if you apply metal frames. Ask the contractor for this option to add utter longevity on top of sheer elegance! Stats: 3,800 sq. ft. living space, 4 bedrooms, 4.5 bathrooms, 2 stories, 2 garage bays, barn, pool. 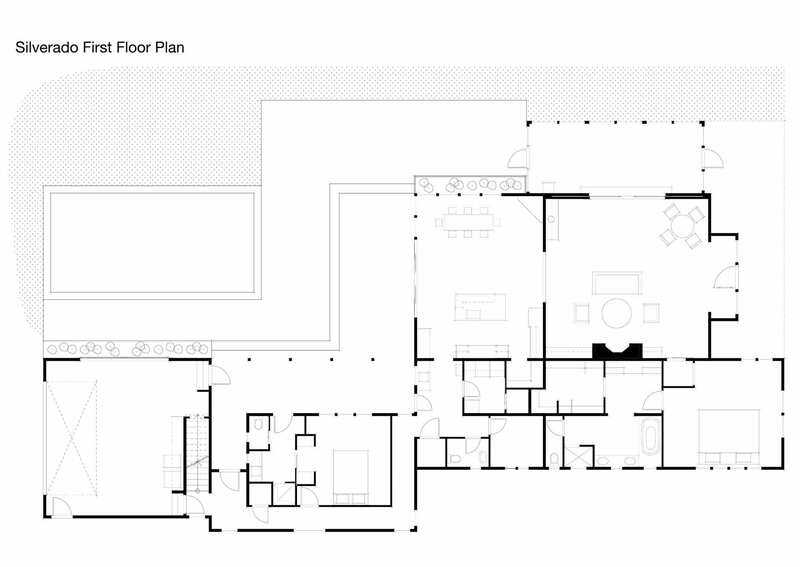 Cost: not available to public, feel free to contact First Bay architects. 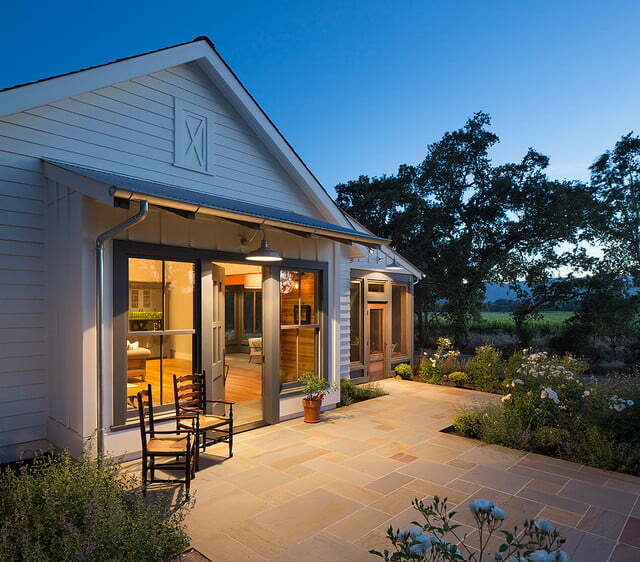 This is surely one of the most elegant farm houses ever made! Along the road lies a heavenly abode that’s surrounded with lush plants an bushes with a decent hangout spot. The great room assures a lovely ambiance, and has great view everywhere! 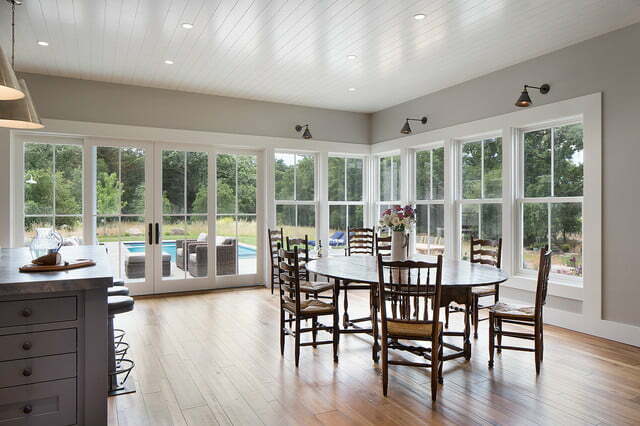 The dining room is also a good hangout spot and also leads to the poolside. All in all, this is one of the best houses to relax during retirement and/or vacation out of town!